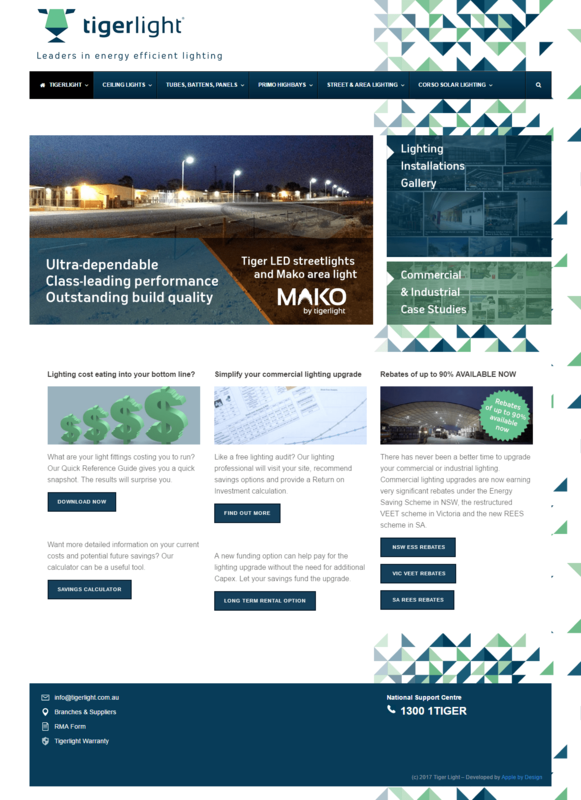 This is our third revamp of the Tigerlight website. The new design ties in with their current branding. It has been two years since the last redesign and a lot has changed the web world since then. Responsive web design makes it tablet and mobile friendly. It has been optimised to meet Google’s ever changing SEO requirements.